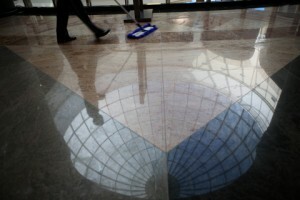 Office Cleaning - Tri-State Building Services offers our customers a flexible cleaning schedule. We will work with your company and budget to create a cleaning schedule that will keep the appearance of your building in top shape. Tri-State Building Services Offers Daily, Weekly, Monthly and Quarterly Appointments. Contact us for More information or Feel free to Request a Free Estimate. Floor Care Services - Tri-State Building Services offers floor and carpet care services that will create a clean and inviting atmosphere for your clients and guests! Any of the following services can be performed in your place of business. We also offer the following services on a scheduled basis, depending on the traffic that your building receives we can schedule your floor care weekly, monthly quarterly or annually. which can be a regular service.